Finishes: Smooth matt surface or anti-vandal textures. Cladding panels are pigmented throughout the laminate to all BS 4800 colours. 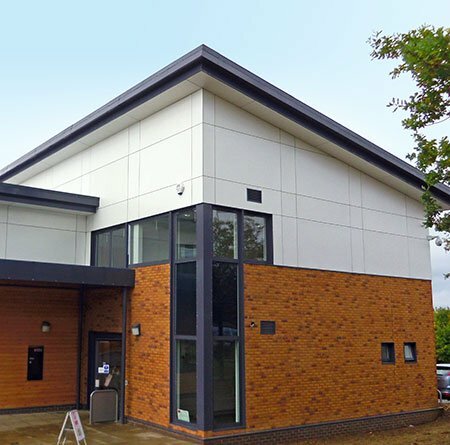 VulcaTuf® cladding panels have an external coloured isophthalic gel coat (for good chemical and weather resistance) backed with polyester resin and special glass fibre reinforcement. 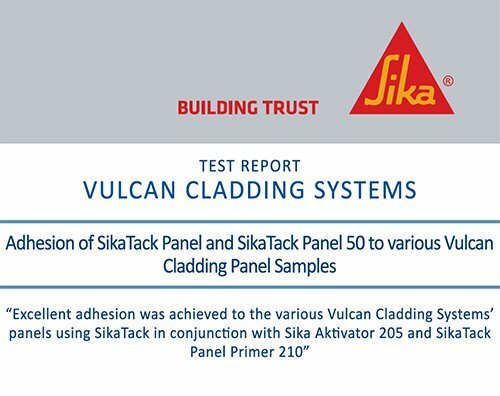 Secret fix using SikaTack® cladding adhesive bonded to aluminium ‘helping hand’ support framing or aluminium sections direct fixed to masonry. Face fix using stainless steel facade screws, powder coated to suit; fixed to treated timber framing and EPDM gaskets or aluminium as above. Continuously glazed with welded steel angle support frame, and glazing angle. 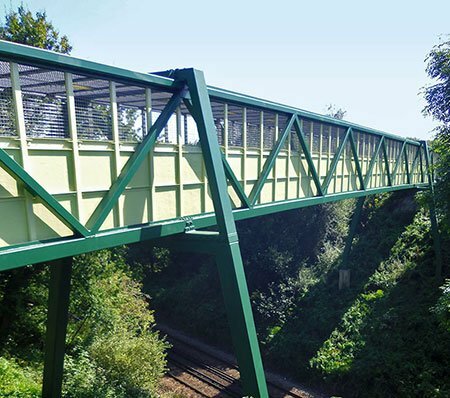 Continuous steel support VulcaTuf® can be directly riveted to steel – thinner panel needed. Bolt to steel lug/plate VulcaTuf® can be directly bolted/riveted to steel lugs giving an open balustrade. VulcaTuf® panels should require no maintenance, except cleaning, in the first 30 years of life. To ensure panels are maintained in good condition, bi-annual cleaning using warm soapy water is recommended. Panels unaffected by sunlight apart from slight mellowing. 10 year warranty against significant colour change. Panels unaffected by sunlight apart from slight mellowing. 10 year warranty against significant colour change.